Team Update #22: The Brand New Peercoin.net is Now Live! 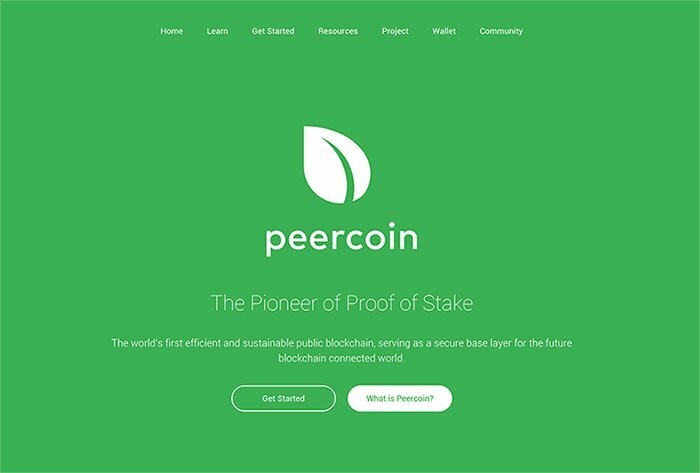 The brand new peercoin.net is now live! I know many of you have been asking for this from the Peercoin Team for a while, so we hope you like it. We wanted to deliver a quality product and a simple website would not suffice. 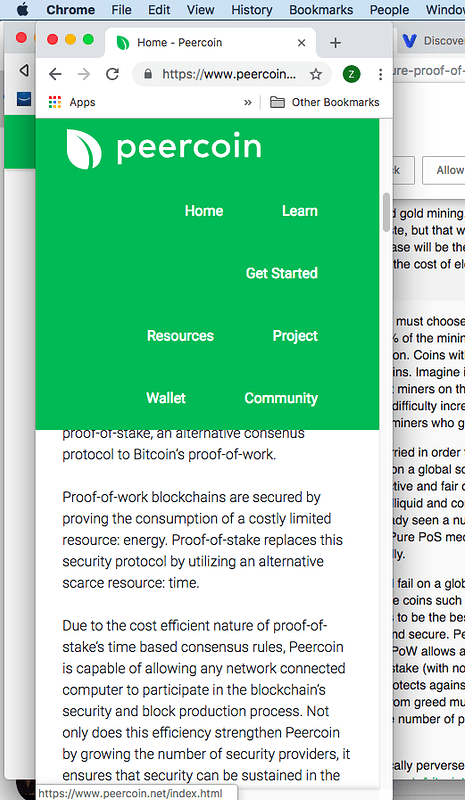 We have prepared our new documentation website as well as Peercoin University, both of which are still in the editing phase but are far enough along to officially launch. Both resources are heavily integrated into the new website and provide a place to learn about Peercoin. docs.peercoin.net is our new documentation site and will provide important links and information as well as technical guides to get new users and developers started. Please let us know if you would like to help with writing content. university.peercoin.net is an educational article that I personally wrote which takes newcomers through a number of introductory and advanced topics. It starts with explaining what blockchains are and their core benefits. Then it moves on to blockchain security. A number of topics are covered about Bitcoin and Peercoin, including proof-of-work, proof-of-stake, economics, scalability, etc… This will act as our main resource to point newcomers to for learning and understanding Peercoin. 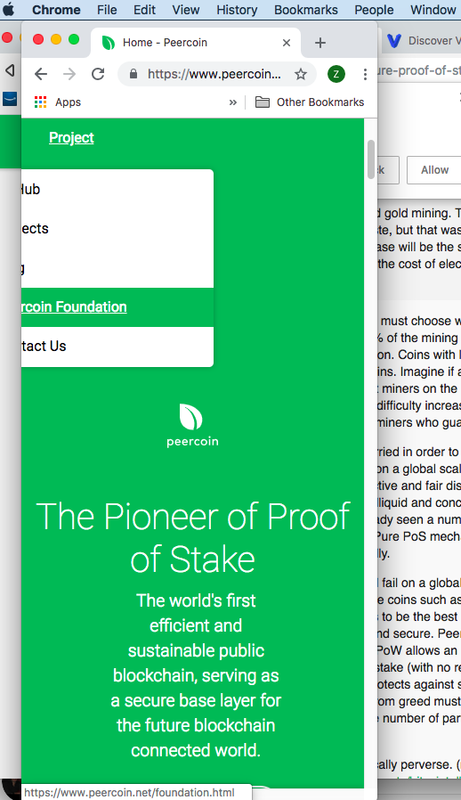 The Peercoin website itself will act as a new foundation that we will continue to build on and expand as time goes on. Also, we have moved the DNS from Digital Ocean to CloudFlare, so please report if you have any loading or display issues. 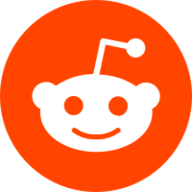 Bug reporting can be posted to this thread. If you like the new website, don’t forget to donate to the Peercoin Foundation. REPLICA: The Brand New Peercoin.net is Now Live! @zattack I know it’s been a while since we’ve talked about the website, but does everything here meet your expectations? How about everyone else? I see we have a lot of likes on the first post, but I was hoping to hear some written feedback. Only issue I encountered so far is the menu doesn’t collapse properly on desktop Chrome. Which menu are you referring to? The main navigation menu? Sorry I meant to say, when the window is resized smaller the navigation menu doesn’t collapse properly. Is it possible for you to share some pictures of this? Don’t have a solution quite yet, but am working on it. The color choice of the links is not good. You want them to stand out not blend into the background and difficult to read. Maybe just have white underline or bold white underline. I think you should drop a line about Sunny in the first section, his notoriety and integrity are one our strengths. What are the fastest ways to covert visitors to users? Learn More should be last - it only delays people from committing. Is this based on more than assumption? The reason why I put it first is with the thought that learning more would encourage them to buy by giving them reasons. After all, why would I buy something without knowing anything about it. Interested to hear your thoughts on this. @Sentinelrv For some people that’s true, but for others it may be an over-sell. If we break down the visitors into cohorts (ignoring those that will never join), there will be some people who come ready to participate, some who are ready after reading the landing page, and those who may join after learning more. Also, moving learn more to end probably won’t affect the third group anyways because they’re likely the type that’s more methodical, so will give the effort to learn more.